Ustad Manzoor Ali Khan Legendary Sindhi Classical Music Singer. He was born on in 1922 at Shikarpur, Sindh, Pakistan. He was a great Sindhi Classical Music and he was called "Ustad" of Sindhi Mousiqui. He create great name in Sindhi Old Music and he was the first classical Musician of the Twentieth century who knew about the Regional Classical Music of Sindh and Pakistan and also in subcontinental. He belonged to the Classical Music Artist family of Gwalior Gharana, which was India's historical musical family. Ustad Manzoor Ali Khan got Musical training from his father, Ustad Jamalo Khan and also he had got training from from Ustad Seendo Khan. His parents took him to musical events in Sindh and India. 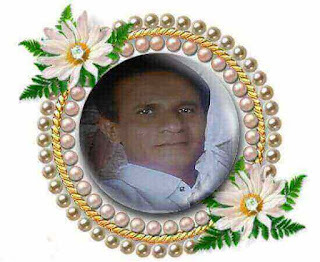 He was maestro in singing "Thappo" a kind of Sindhi Traditional Songs and Sindhi Folk Music, in Pakistan. 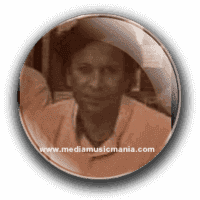 Ustad Manzoor Ali Khan made various compositions of Indian and local classical and Semi classical Music. He composed and sung great poetry of Hazrat Shah Abdul Latif Bhittai R.A in all forms. He taught many young aspiring Sindhi students the art of classical singing and by his efforts, he revolutionized the Sindhi Cultural Old Music, Historical Music. He is one of those rare Classical Musicians who expanded the peripheries of Classical Songs by taking it to the common masses, his rendering of "Sindhi Kalam" "Sindhi Kaafies" was divine and used to enthrall and transfix listeners, and transport them into a different world. This great Artist of Sindh was died on September 1980. I have selected below most popular Music of Ustad Manzoor Ali Khan.